Non-members RSVP here. Registration requires online prepayment via credit card. Confirmation will not be complete without prepayment. Please cancel by 11 a.m. on the Thursday prior to the meeting, if you are unable to attend - no shows and late cancellations will result in the forfeiture of their payment, if AGS is unable to sell your dinner. Members RSVP here. Registration requires online prepayment via credit card. Confirmation will no be complete without prepayment. Please cancel by 11 a.m. on the Thursday prior to the meeting, if you are unable to attend - no shows and late cancellations will be invoiced, if AGS is unable to sell your dinner. Sponsored by: Arizona Silver Exploration, Inc.
Abstract: All four major analyses of average annual global temperatures show little change from 1945 to 1970, a rapid increase of 0.6 deg. C from 1970 to 1998, little change from 1998 through 2013, and a very rapid increase of 0.3 deg. C from 2014 through 2016, making 2016 the hottest year in recorded history. 2017 looks like it will be a little cooler. Meanwhile carbon dioxide concentrations in the atmosphere continually increased with no sudden changes. In the 1960s, human manufacture of chlorofluorocarbon gases (CFCs) increased rapidly. By 1970, the ozone layer began to be depleted and temperatures began to rise. In 1974, scientists figured out how CFCs could cause ozone depletion. After discovery of the Antarctic Ozone Hole in 1985, the Montreal Protocol was passed mandating cutbacks in production of CFCs starting in 1989. Increases of CFCs in the atmosphere stopped in 1993. Increases in ozone depletion stopped in 1995. Increases in temperatures stopped in 1998. In 2014, Bardarbunga volcano in Iceland extruded basaltic lavas over an area of 85 square km in 6 months, the highest rate of basalt extrusion since 1783. Throughout the Holocene and all of Earth history, major eruptions of flood basalts over areas from hundreds to millions of square kilometers have been contemporaneous with major warming, ocean acidification, and mass extinctions. Major explosive volcanic eruptions, on the other hand, that form aerosols in the lower stratosphere reflecting and scattering sunlight, cause 0.5 deg. C cooling of the ocean surface for 2 to 4 years, affecting ocean temperatures for a century. Several large explosive eruptions per century for millennia are observed to cool the ocean into ice-age conditions. Volcanoes rule climate change. To warm Earth, you must add heat, which consists of a broad continuum of frequencies of thermal oscillation of the bonds holding matter together. Carbon dioxide absorbs less than 16% of the frequencies radiated by Earth. Carbon dioxide simply does not absorb enough heat to warm Earth. Prior to humans, atmospheric concentrations of carbon dioxide appear to be a proxy for ocean temperature based on well-known solubility curves. We can burn fossil fuels without overheating Earth, but we must control pollution, currently killing at least five million people each year. Bio: Dr. Peter L. Ward earned a BA in geophysics from Dartmouth in 1965 and a PhD in geophysics from Columbia in 1970. He worked 27 years with the United States Geological Survey in Menlo Park, California, where he played a lead role in developing and managing the National Earthquake Hazard Reduction Program, developing a prototype global volcanic surveillance system, and studying the relationship between plate motions and the geology of western North America. He received two national awards for explaining science to the general public. Ward chaired a committee at the White House, worked on a committee for vice president Gore, testified before congress, and his work was featured on Good Morning America. He has published more than 50 scientific papers as first author. In 1998, he retired to Jackson, Wyoming. Since 2006, Ward has worked full time trying to resolve several enigmatic observations related to climate change. 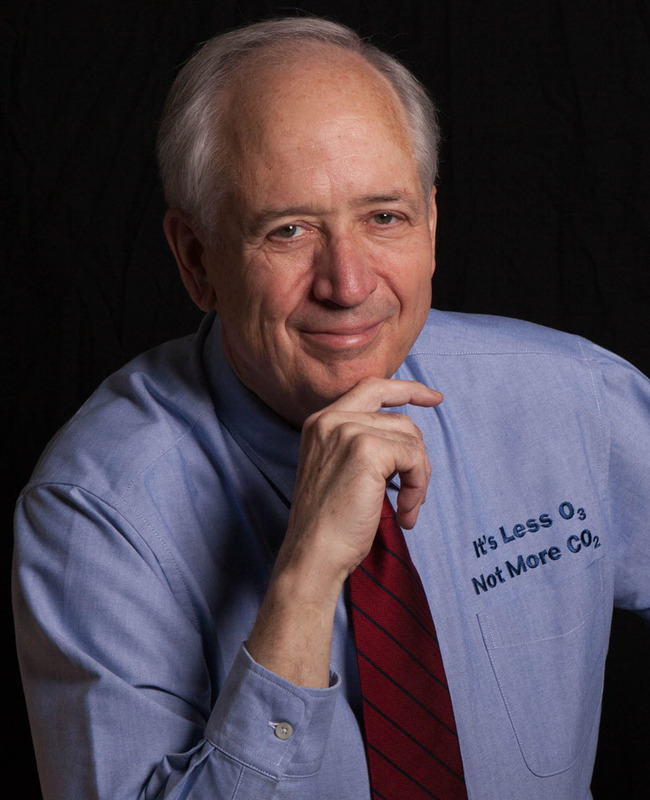 His work is described in detail at WhyClimateChanges.com and in his book What Really Causes Global Warming? Greenhouse gases or ozone depletion? Follow him on Twitter at @yclimatechanges. See some of his talks at WhyClimateChanges.com/videos/talks-about-climate/, including one at TEDx, one at the Geological Society of London and many at national meetings. Ward raised four children with his successfully blended family being featured in the New York Times Magazine and on the Phil Donahue Show. He has six grandchildren. Ward grew up playing the piano, guitar, and accordion. He founded Svirici, a Bulgarian Yugoslavian folk-dance band, in the 1970s, proposed to his third wife in song at the Jackson Hole Hootenanny in 1995, and likes to lead group singing and sing funny songs (EmailRomance.com). He climbed all the 4000 footers in New Hampshire, half during the winter, before his 18th birthday. He climbed his first active volcano at age 19. He has rafted most rivers of the west including rowing his own raft twice through the Grand Canyon. Note: There will also be a book signing for those who are interested in purchasing Peter Ward's book, "What Really Causes Global Warming? Greenhouse Gases or Ozone Depletion?" For more information about Ozone Depletion Theory link to the following short abstract: "Two Game-Changing Observations about Climate."